Expedite Your 100,000 Point Sapphire Reserve Signup Bonus; Can You Get The Signup Bonus With Only $3,700 In Spending? –Chase’s Highest Ultimate Rewards Signup Bonus Ever: Sapphire Reserve 100,000 Point Bonus Is Now Live; Get $2,100 In Travel! 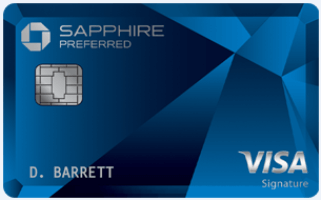 -What Should You Do With Your Sapphire Preferred Card After Getting A Sapphire Reserve Card? Chase launched the Sapphire Reserve card 4 weeks ago and it’s been a wildly successful card launch. Within a week they ran out of the metal that the cards were supposed to be made out of and started sending out temporary plastic cards to new signups. 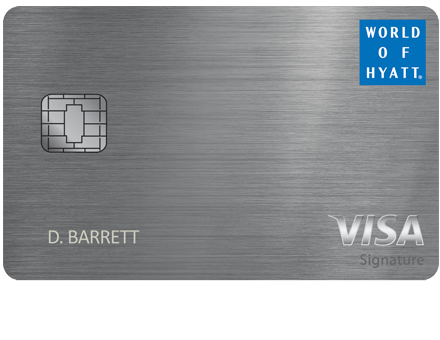 The card offers 100,000 points for spending $4,000 as well as $300 in automatic travel refunds every calendar year. 100,000 points is worth a minimum of $1,500 towards travel with this card. The first year’s annual fee is $450, but the actual out of pocket fee for the first year is negative $150 due to $300 of refunds in 2016 and $300 of refunds in 2017. Purchases that can be refunded include any charges for airfare, car rentals, hotels, Airbnb, campgrounds, cruises, or transportation which includes trains, buses, subways, Uber, Lyft, taxis, limos, ferries, bridges, tolls, E-ZPass, and parking. Every time you charge one of those items to your card you’ll get an automatic credit until you’ve used $300 in credits that calendar year. A common question has been whether you will get the signup bonus if you spend $4,000 but it falls to just $3,700 in charges due to the automatic travel refunds. People were also wondering if you will receive the 3 points per dollar on travel spending that is refunded. I just received my 100,000 point bonus after spending $4,000 including $300 of travel spending and can confirm that you will get the bonus even if you spend falls to $3,700 after the $300 is refunded. You also will earn 900 points from the $300 of travel spending even though Chase refunds it. That’s another $13.50 of free travel just for using the $300 annual free travel benefit! Chase awards the 100,000 points either on the statement on which you complete the spending or on the following statement if you complete the spending requirement too close to the statement close date. I was also able to get those points added to my account within a few days by just changing my bill’s due date. To do that from the old Chase.com interface click on “See more information” under the Sapphire Reserve and then “Change bill due date.” To do that from the new Chase.com interface click on “things you can do,” then “Update settings and preferences” and then “Payment due date.” Or you can just call the number on the back of your card. -I was able to help a friend apply for and get approved for a Sapphire Reserve, Sapphire Preferred, and Ink Plus via 3BM for over 200K signup points! -If you haven’t yet applied for Sapphire Reserve you should read the post on 5/24. It contains important information about what you should do about additional user cards that may hinder an approval. Dozens of DDF’ers have been able to get approved after becoming Chase Private Clients by requesting that status from a Chase banker. -Airfare, including tickets bought from travel agents and online agencies. 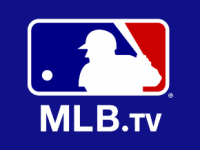 -Restaurants, fast food, coffee shops, bars, and lounges. -Transportation including trains, buses, subways, Uber, Lyft, taxis, limos, ferries, bridges, tolls, E-ZPass, and parking. You’ll be able to access over 900 clubs worldwide with Priority Pass and you can bring unlimited guests with you into the lounge for free! That includes lounges with kosher food and wine in Newark and Tel Aviv. You can call Chase to enroll in Priority Pass or you can enroll online here. Every 4 years you can get a $100 credit for a 5 year Global Entry membership which also includes TSA pre-check. That means you can skip the lines and forms when flying back from abroad and you can leave your shoes on, laptops in their bags, and go through metal detectors when flying from the US. Additional cardholders cost $75/year and include a Priority Pass membership with free guesting privileges as well. The Sapphire Reserve allows you to use all your Chase points for 1.5 cents each per dollar towards travel. You can transfer points from any Chase card to Sapphire Reserve to make them more valuable. Previously it’s always been worth transferring Chase points into real airline miles and hotel points. But at about 1.5 cents per dollar it can start making sense to consider redeeming points directly for paid travel without transferring them into miles. That’s especially true as those fares, as opposed to traditional mileage tickets, also earn additional miles. You can still do much better with miles when hunting for last minute tickets or for premium class tickets, but for regular coach tickets this will be hard to beat. The ability to choose between 1.5 cents per dollar or mileage transfers make Sapphire Reserve an incredibly versatile credit card. The 1.5 cents per dollar redemption option also means the travel and dining categories on this card earn at least 4.5% per dollar. The Chase Freedom Unlimited card earns 1.5 points per dollar everywhere. Having the Sapphire Reserve makes everyday spending on that card worth at least 2.25%. I downgraded my old Sapphire Preferred to Freedom Unlimited and use it for everyday purchases. 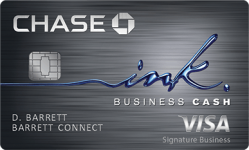 Chase Freedom and Ink cards also have 5 point category bonuses and those will be worth at least 7.5% if you have the Sapphire Reserve. As a Visa Infinite card, it also comes with some benefits like discounts on car rentals (including 30% off Silvercar). Sapphire Reserve comes with primary rental car CDW insurance in every country in the world. Most other cards only have secondary coverage when you rent a car in your home country. This means that if you damage your rental vehicle you must file the claim with your own personal insurance policy first, and only if they won’t cover the damage will the credit card cover the damage. Even additional cardholders get primary coverage when they rent. Most credit cards also exclude countries like Israel from coverage, however all Chase cards cover you worldwide, including in Israel. 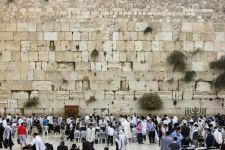 And they will give you a letter of coverage stating that you are covered in Israel so that you don’t have to argue at the rental car counter that your Chase Visa does give CDW coverage. Plus you get triple points on car rentals, meaning there is no better card out there for car rentals! -Trip cancellation insurance is free. Trip cancellation reimburses up to $10,000 per person, up to $20,000 per trip, and up to $40,000 per year if you need to cancel for injury, death, or sickness experienced by you, a traveling companion, or an immediate family member of you or your traveling companion. 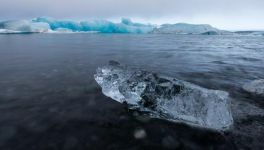 Other covered reasons include severe weather, military orders, terrorism, jury duty, home dwelling becoming inhabitable, quarantine, or financial insolvency of the travel agency or operator of your trip. -Price protection. Find a lower price in a store or online on a non-auction site within 90 days and get back up to $500/item and $2,500/year. -Lost Luggage Protection: If your checked or carry-on bags are lost you can be reimbursed by up to $3,000 per person. -Trip Delay Protection: If you are delayed that either requires an overnight stay or is more than 6 hours you can be reimbursed for up to $500 in expenses per person. -Baggage Delay Protection: If your bags are delayed by more than 6 hours you can be reimbursed for up to $100 in expenses per person per day, for up to $500 per person. -Travel Accident Insurance: Coverage if you are injured or killed on a trip. -Roadside Assistance: Coverage for up to 4 incidents per year. -Visa Infinite Concierge is included free of charge. The Chase Sapphire Reserve card earns Ultimate Rewards points and has the ability to transfer points into miles. 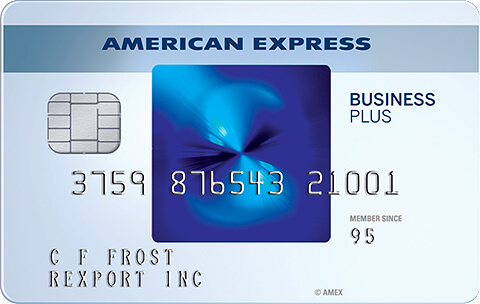 It also gives you the ability to transfer points from fantastic no annual fee cards like Chase Freedom, Freedom Unlimited, and Ink Cash into miles as well, as those cards can’t transfer points directly into miles without having the Sapphire Reserve, Sapphire Preferred, or Ink Plus card. 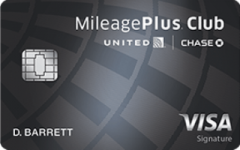 Chase Ultimate Rewards offer instant and fee-free transfers to top-notch mileage and points programs at a 1:1 ratio. You can transfer points to a household member’s Chase card or to an authorized user’s airline/hotel programs. You can also transfer points to Chase business Ink cards like Ink Plus and Ink Cash where you can transfer from there to other business owner’s cards and/or programs. –United (Star Alliance) is an excellent currency. They never charge fuel surcharges, have very flexible routing rules, they allow one-way awards for half the mileage, they have short-haul awards for 10,000 miles, they often run discounted award promotions, they allow for a stopover and an open-jaw so that you can really maximize a single award ticket into several free trips, and they have dozens of partners to fly on, most of which can be booked on their website. –British Airways (OneWorld) is awesome for short-haul awards, though partner American has been stingy with award space of late. Awards start from just 4.5K miles. Flights to Israel on Air Berlin are just 60,000 miles round-trip with no fuel surcharges. They allow one-way awards for half the mileage. There are no close-in or expedite fees. You can cancel an award for as little as $5.60. Infants are only charged 10% of the miles on international trips instead of 10% of the full fare like US carriers charge. Plus they don’t collect fuel surcharges on American within the western hemisphere, on Qantas from or within Australia, on Air Berlin, Aer Lingus, Alaska, or LAN and you can transfer points to Iberia to limit fuel surcharges there as well. You can read more in this post on everything you need to know about BA Avios. And you can see 110 places you can go to nonstop from NYC with Avios. –Korean (Skyteam) offers unbeatable first class availability (A380 First Class Trip Report here) and they also have true bargains on partner travel, just 30,000 miles to fly round-trip on Hawaiian or Alaska to Hawaii in coach or 60,000 miles in first. And it’s just 20,000 miles to fly to Alaska in coach or 40,000 miles in first. You can even get a free stopover on the way to or in Alaska! 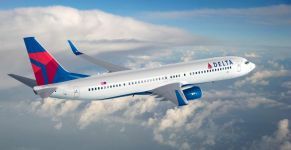 If there is Delta saver award space you can fly to Hawaii round-trip for just 25,000 miles in coach or 45,000 miles in business. –Air France/KLM Flying Blue (Skyteam) offers promo awards from rotating North American cities to Europe, Israel, and Russia from just 12,500 miles each way. Regular awards to Israel are just 25K miles each way, though some fuel surcharges apply on most airlines except for Delta. –Singapore (Star Alliance) offers private walled-in first class suites that can only be booked with their miles. A suite one-way from JFK to Europe is 57,375 miles. Travel to the US48, Hawaii, Alaska, Europe, and Israel can all be had on the cheap. There are no close-in booking fees and changes and cancellations are very cheap. Fuel surcharges apply when flying on most airlines besides United. More info here. –Southwest offers a value of about 1.7 cents per point towards award travel, though that rate can now vary. Plus you get 2 free checked bags, free flight changes or flight cancellations. and you can even get a point refund if the price of your flight goes down. –Virgin Atlantic has some niche uses with awards on Delta and often has sales for discounted awards to London. –Hyatt is a very powerful hotel currency. They have a cash and points option that offers some excellent values and more importantly those stays earn points, elite stay credits, promo credits, and you can use suite upgrades on cash and point stays as well. It remains far less expensive for high-end hotel stays than any other hotel program. 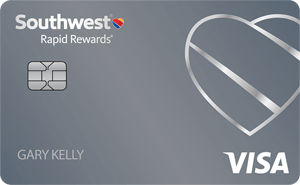 You can also funnel points through Hyatt to Southwest to qualify for a free Southwest Companion Pass which gives you a free companion every time you pay for or redeem for a free ticket. -You can also transfer points to Marriott, Ritz Carlton, and IHG. Generally speaking you’ll want to use the 1.5 cents per point option when redeeming for round-trip coach tickets booked in advance. You’ll generally want to transfer to miles for business class, first class, last minute and one-way coach awards. You’ll be better off with 1.5 cents per points for IHG and Marriott hotels, but Hyatt points can often be worth more than 1.5 cents each, so you’ll want to transfer points to Hyatt in those cases. 165 Comments On "Expedite Your 100,000 Point Sapphire Reserve Signup Bonus; Can You Get The Signup Bonus With Only $3,700 In Spending?" I didn’t know Chase’s points tracking system was programmed to go that high. Only 2.9million UR points? Rookie! How can I get this great credit card. I have an 800 credit score. 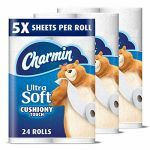 I follow all Dans deals as scrupulously as I can. I even sent a secure message to chase asking why they declined my application (they said I opened too many cars within the past 2 years). I have a chase checking account. I pay my bill all the time before theyre due. HELP!!!!! There’s no published end date, but I’d imagine it will be still be around on 10/7. Is there a mitzvah to hoard them? It’s not scotch, it won’t get finer with age. I redeem 7 figures every year. Still have more than 10MM miles to burn. How many primary and secondary cards have you opened in the past 24 months? Did you try to become private client? Chase has a special arrangement for unlimited free guests. The membership that comes with the card confirms that. Long met the 4K spend on both cards! Coolest bonus ever!!! Thanks for the inspiration after seeing that UR points total as well! Dan – thanks as always….can anyone confirm does buying gift cards from an airline work for travel! cost $75/year and include a Priority Pass membership with free guesting privileges as well. Yup. Never had 2 SM agents in writing and a phone agent be wrong like that before. Pretty crazy. How about paypal transactions? do they count? 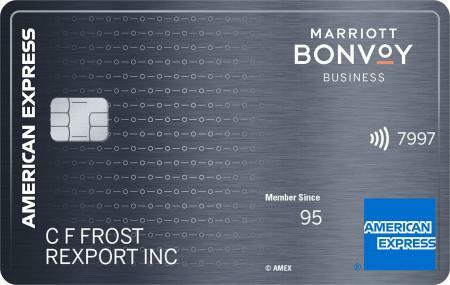 Do you consider this card better than the AmEx Platinum? They seem similar, but I’m starting to lean towards Chase. Does the $450 fee count towards the $4000? I haven’t seen data points on that. Why are you paying with Paypal? Overall this is a much stronger card. However the AMEX Plat does give access to many lounges that this card doesn’t (Airspace, Delta, and AMEX Centurion lounges). Annual fees never count toward spending thresholds. Once I get the card, how do I get the priority pass. Do I get it automatically? The signup link is in the post. Or you can just call the number on the back of the card. Really want this card for long term. My AMEX Platinum just came up for annual fee. Have way over 5/24. Read the whole thread for that. Have even more AU. I should close all AU cards..still would have 12 or more cards. Not CPC, have Chase Checking, have card with CL I could move. Recommendations? Try going into a bank and get CPC? Appreciate it. Can anybody confirm that EZ pass worked towards the $300 annual credit? About how much do you need to spend on your card annually for it to be worth more than the Sapphire Preferred(Regarding the annual fee)? I understand it depends whether you use it for travel, dining, or general but roughly about how much? I love this card! I got almost the entire travel credit in my first week! i spent $6800 on the 1st day i got the card. i see the points for the perches i made but no 100k bonus, when dose it post? 12 primary cards opened in the past 24 months? CPC is probably your best bet. Yes, several reports of that working. It’s only $41.50 more per year than Sapphire Preferred after the $300 credit and the 900 points (worth $13.50) earned from that $300 credit. If you spend $3,000 per year on travel and dining than you would get an extra 3,000 points per year that are worth at least $45. But besides for that, how much do you value the lounge access at? And how much do you value the ability to redeem all Chase points for travel at 1.5 cents per point? And how much do you value Global Entry credits every 4 years? Did you check the UR link to see if you have the 100K pending on your next statement? Can I buy a airline gift card with the $300 credit? I am over the 5/24, no pre-approval and banker said can’t give me CPC status unless I have 250K! Try another branch. Offer to bring in funds from another bank over the course of the next few months. how should i spend the 4k ?? where in ewr Newark is kosher food ? Lots of ways to do that. I live in NJ and AA doesn’t let me buy gift cards. Is this for all airlines and is there a way around it? AMEX can do that because the AUs have their own card numbers. Other airlines will let you. You can also change your billing address temporarily to order them if you’re set on AA. 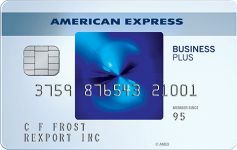 Which card do you suggest: The Chase Sapphire or Amex Business Platinum? -Travel credit is better on Sapphire. -Israel car rental insurance is only on Sapphire. -Purchase protection/lost item insurance is better on AMEX. -Lounges are great on both, but they each offer something the other doesn’t. If lounge access is a key you’ll want both. Otherwise, Sapphire. Can the $450 annual fee be counted as the $4000 spending? 2.9 … when are you doing a giveaway???? I’ve heard that airline ticket purchases made with Citi Thank You points are in a special fare bucket that earn substantially fewer airline miles. Do you know if the same is true with Chase UR ticket purchases? Do I have to travel in 2016 or just make a reservation to be eligible for the $300 credit? It goes based on when it’s charged to the card, not when it’s for. I tried changing the statement due date, but it said that it would take effect on the next statement. Dan, how did you manage to change your current statement’s due date? Didn’t do anything special, just typed in the new date and it worked. Did you get your first statement yet? What date are you trying to set it for? Try the 20th or later. @Dan: Sorry, let me clarify. I followed your instructions in the post to change the statement due date to the 21st. It said that this change will take effect next billing statement (not the current one). As of now, my account still says that my payment due date is my former due date; its as if no change occurred for this billing statement. (I’m trying to expedite my points as you suggested). Try the 21st and see what happens. Any idea of when this offer ends? And if you have your spouse as an additional cardholder and only spend about $2000 a year on travel/dining you would need to spend about 18000 annually to make up the difference, if im looking to redeem it cash towards travel, right? The additional benefits (lounge/pre-check) sure sounds like fun but the question is if its free end of the day? Don’t pay for your spouse if they won’t use the lounge membership. When’s the last time a store asked you for ID anyway? Does anyone know the difference between AAA coverage and Roadside Assistance: Coverage for up to 4 incidents per year that Chase offers? What is the annual fee after year 1? I’d assume it’s fairly similar. The fee is the same every year, see the post. Got the Reserve few weeks ago, and this is exactly the 5’th card in 24 month, can i apply again now for the Preferred before the reserve statement closes? Any reason not to? But we both need a card in our pocket all the time. Unless i could get two cards under one name? Call and ask for an extra plastic version of the same card. If the fee is the same every year, then why is it -150? About the 5/24, of I have 4 cards in the last 24, can I be approved for a 3bm? @dan Do southwest anytime tickets work? Dan!!! please teach me how to earn that many points!!!! @Phil: It worked, I saw my ezpass charge online with the corresponding credit. IF there is a $450 annual fee, then how do you get to the -150? In the 2nd year there will be an additional $450 annual fee. How long does it take to get the priority pass card? I got applied and got approved for the card on the day it opened, and activated the priority pass benefit upon receiving the card about a week later (it appears as “activated”). But I never received the actual card. @Dan do you know if $300 airline credit will work for the United Airline Gift Card registry, such as Amazon gift cards, similar to the AMEX platinum airline credit. Do authorized users also get the car rental benefits. Dan, is PGGM an option for the travel credit? how long does it take to get approved?! i applied last Friday in branch and the banker said that i gotta wait for a letter in the mail within 7-10 business days!!??!! why’s it taking so long is it because this is my first credit card and i have no credit history??? Follow what I did to expedite them once they show up as pending. The fee is $450/year and there’s a $300 annual travel refund. If you keep the card for 2 years you will pay $900 in fees and get $300 in 2016, $300 n 2017, and $300 in 2018 for $900 in total refunds. The 2017 refund can be done in January. The next fee isn’t due until September. Call Recon back and ask for a manager. Ask for them to take some of the line from the United card to approve the Reserve. Or ask to unapprove the United as you would rather have the Reserve. I called and got it within a few days. If you have no other cards it will definitely take them more time. should i call the lending department and ask what’s taking so long and try to get approved or should i just wait it out? There are pros and cons to either way. what do you advise (im new to this game and wanted to jump the gun) call or not? @Dan: Do you call Chase or Priority Pass to get the card? How can I know when I will be out of the 5/24 issue? say i call, do i speak to a manager or a regular rep? what would you say is better? taking forever. requested long ago, how long should it take? called PP and they said Chase send them, no way they can give number or ship. SM chase, replied they cant expedite. so when will it be here? before the year is over? I agree with Sarah (starting at comment 45). When I try to switch the due date I am first prompted with a note that says it will only go into effect for next statement. I went ahead and switched the due date to the 21st anyway, but it does not appear that will impact this statement. I guess I will let you know tomorrow (the 21st) if somehow the my auto-pay is deducted and the points move from “points earned” to actually being available in the Account. In any event, my experience is that the posting of the points is connected to the statement settlement date, not the payment date. Dan, not sure how you pulled that off. Private Client is amazing. Reconsideration wouldn’t talk to me beforehand and after becoming CPC they approved me! There is no business version of this card. You start with a regular rep and go from there. Call Chase to have them enroll you again. Also Chase will reimburse visits made until the cards come, ask them about that. Changing the payment due date changes the date the statement prints, which is 28 days before the payment due date. The points post when the statement prints. OK. Thanks Dan. One folllow up question. Is statement print date always 25 days before the due date? In your post you mentioned you changed the due date to the 16th of the month (so next due date is 10/16) but your statement printed on 9/19, which is more than 25 days in advance? 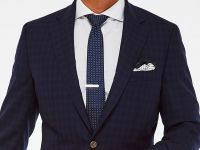 i talked to a banker who said unless i have 250k then there’s nothing to talk about…..
And yes, it said that it would change for my next billing cycle, but it worked right away for me. It’s been done by many, find another branch/banker. how should i convince a banker to give me CPC when i only have a collage checking account that has less then $500???? what should i say/do to convince them?? @JoJo: How do you get the old preface? [Quote]it said that it would change for my next billing cycle, but it worked right away for me. Does the 450 fee count towards the 4000 spending? Dan would u keep it for year2? Is this offer valid for those of who live north of the 49th parallel (aka Canada) ? If chase rewards is showing me 90k points for a round trip ticket then all i have to use is 60k points? Thanks Dan, approved for the Preferred too. Really funny that as long as they don’t close the statement they don’t realize that they approved me 3 weeks ago, so i’m still below 5/24. @dan i opened my card in August so ill have 2 times 300 travel this year will it be next year too? I asked a couple of different reps all confirmed that there is no way you will get to billing statements in one month so changing the bill due date will only take effect next month no matter what date you pick. No two statements in one month so DAN how did you do it? I have a consumer login and business login. Former has the new interface and latter has the old interface. Yup, hence why I made this post. Year 2 also gets another $313.50 travel credit. The lounge access, 1.5 cents per dollar on all points, 3 points per dollar on travel/dining, and global entry are worth $136.50/year. You need a US SSN. Awesome, Go for 1 more! It’s $300 per calendar year. They don’t know what they’re talking about. I have a September 3 bill and a September 19 bill. I know that this is a beginner question, but what is “BM” (i.e: 3BM, 24BM, etc…?) Can someone refer me to a thread on DDF which would fully explain this? i opened a personal chase southwest card on 1/2014 (still open), and a business one on 2/2014 and closed the business one on 6/2014. can i open another business southwest card now and get the sign up bonus again? any advice is greatly appreciated. Serious? I never heard someone doing this without 3BM. But if so, which one? Can I get the Ink without a business? Dan I changed my due date to today’s date which is the 21st with a closing date on the 24th so let’s wait and see I really hope you are correct!! How do you get an airline gift card? Does it have to be a specific airline? Also is the same true for hotels? Ink is harder than the consumer airline/hotel cards. 16 days apart is for due date and statement date. From the airline or hotel’s website. Same for any travel that falls into the categories in this post. Are the $300 refundable travel able to be used next year or do they expire at the end of 2016? when is this offer expiring? @dan got approved for reserve 2 weeks ago, if I sign up for another chase card today will it be combined into one pull or it has to be in the same day? Which link do i use to apply? You may be able to call the bureau and have it removed. There is a banner in the post. I opened more than 10 cc in the past 2 years, applied today and got accepted. i went to see a banker today and asked what was taking so long and he called the lending dep who didnt want to approve me due to the lack of credit line (she said all i have is 1100 of my own credit line and thats to little) so i left bank and HUCA and asked for a recon and she said no on the spot without looking into it at all so i asked for her manager and said she’ll do a secound recon and after putting me on hold for a while said she agrees with the first rep and the min credit line for the reserve is 10k so i hung up and called the company that i have 1100 with and the max raise they gave me was 900 so now im holding by 2k then i applied for a Capital One cc and got approved for 3k so now that i have 5k of my own credit line so should i apply for another card, if yes which one (as i have 2 credit pulls today) or should i call recon today or wait 25days to recon the reserve or what else should i do? today a banker told me that if i bring in 100k then he’ll give me CPC so i said yes over the next few months i’ll bring it he said okay so when you bring it we’ll talk…. For the 300$ airline credit can you purchase through the united app(like with Amex ) ? You said to get office supply gift cards for 5x points. Where can you spend office gift cards if you buy so much ? Is the chase mileage plus explorer a good card, or should I change it for another card? Do I need to purchase the Air travel credit this year or can I roll it over to next year and get a total of $600.00? Hi. I have a question. Didn’t really see it in the above comments. If I get the card now (September/October), which I’m not sure of since they’ve been refusing me on the last two requests even though I have great credit, when it says you get back $300, do you have to cover the whole $300 in 2016, by the end of December? Then in 2017 start over? Or is it a year from when you get the card, like the fee? Hope the question was clear even with the run on sentence! They sell Visa gift cards and gift cards to stores like Amazon, etc. It does not roll over. Please provide a sample date that I can research. The ones I checked were identical to Priceline. $300 in 2016 and $300 in 2017. Ok.So I couldn’t get the sapphire reserve card because of having opened too many cards. But since I’m a dansdeals Rebbe chosid, I wrote chase a secure message and lo and behold I got the card. @Dan Fan: could you please explain me in short how i do that? is it just by secure nessaging from any of my chase login’s? Awesome, care to share what you wrote in the SM? How many cards have you opened in the past 24 months? So Dan how did you get it did you do through CPC? I wouldn’t necessarily count on not having to argue. I personally had to argue with several Sixt employees and managers in Israel despite showing them the letter of coverage. They kept insisting for various reasons that I had to take CDW, because “only World Mastercards cover”, “Sixt policy” “Israeli law” “you’re credit card wlll cover only if you accept our CDW” (the exact opposite of reality; you have to decline to be covered) and other such nonsense. I finally was able to speak to a manager who was reasonable/could read English better and got my car without paying for their CDW. Granted, this was early 2014, when Chase’s Israel coverage was fairly new and they may not have known about it yet, but just remember when you are renting in Israel that it’s Israel. The concept of The Customer Is Always Right has yet to reach those distant shores. No I did not, not sure how I got approved. Wow how many ink cards do you have? I find it hard enough finding enough time to max out the $50k on my 1 ink. Me again. One more question. If EZPASS deducts money from your credit card as your balance gets low, can you also call and ask to have $300 added to your account, that way completing the $300 travel spend in 2016? But usually a letter is good enough. At least at Avis and Hertz it has been for me. 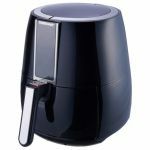 You can load it with $300 online or over the phone. Can I still sign up for this card? There is a banner in this post to view card offers. So that’s a good way to get your $300 refund in 2016 if I get the card towards the end of the year. Thanks. I may have opened five cards. Whenever you say to open a card, I do. I wrote Chase a secure message saying over the past ten years I have a chase checking account, an 800 credit rating and I always pay my bills on time, never carrying over a balance and can they please reconsider my application. I got my card today:-)!!!!!. Do authorized user cards have the same card number as primary? As someone who booked car rental in Israel last month, using CSP – I had no problems with CDW and the car rental company (Eldan). However – They wanted me to pay mandatory LDW (liability). They explained it’s like the “bituh hova” (Israeli term for LDW) which is mandatory. The funny part is that LDW cost more than the rental price (200$ for 2 weeks). So, although you get CDW from Chase, you don’t get LDW, and the car rental company won’t give you a car without it. Dan do you have an affiliate link? This blog has been so helpgul over the years, I would love for you to get a credit when I sign up! Any ideas if Chase Sapphire Reserve gives $300 travel credit when using the UR Portal. For example, I wanted to book ticket to India but tickets are relatively expensive in December. Is it possible to split transaction between UR points and cash, charge $300 on Sapphire Reserve card and rest in points. Would Chase credit me for $300 travel? How long does it take for the 100k points to show up in pending status? I met my 4k spending (excluding the annual fee) on 10/9. I see the points pending for my purchases, but I don’t see the 100k signup bonus pending. I’m trying to expedite my points to book travel in the coming week. Thanks for your help! Anyone had any luck with successfully changing their due date to affect the closing date and have the sign up bonus points expedited? How will i see the EZ pass Travel refund? I spent on EZ pass and got the statement for it, but i don’t see any refund? I sent chase a message asking them about the EZ pass and they said it doesn’t fit into the category for the travel credit. I know you wrote many times that EZ pass does get the credit?? thanks.